On September 11, 2001, the world watched in horror as an airplane plowed into Tower 1 of the World Trade Center in New York City. Moments later, another plane hit the second tower, followed by a third plane which hit the Pentagon and another which was diverted by brave passengers and crashed in Pennsylvania. On radio and television, the events were seen live. Our citizens realized quickly that the United States was under attack. The terrorists who perpetrated that attack felt these acts would divide our country. The opposite happened. These events served to unite our citizens, who mourned together, decried the senseless acts together and helped each other to cope. Almost immediately, in Hudson, New Hampshire, firefighters and volunteers, under then Lieutenant Dave Morin, recognized an urgency to help. They were not sure about what was needed or how to help. Lieutenant Morin said that "all we could do is wait for word on what we could do." Then Lieutenant Todd Hansen suggested sending a truck full of supplies for the rescue workers at Ground Zero. Lieutenant Morin, Lieutenant Hanson, and firefighter Steve Benton discussed sending equipment, supplies and food relief. Fire Chief Frank Carpentino approved their plan. Within four days, a 53' trailer was filled by residents of Hudson and surrounding towns. It contained food, water, clothing, tools, first aid equipment, and even dog food for the rescue animals. Since that time, the Town of Hudson and the Hudson firefighters have continued to help wherever possible. They also organized a yearly Memorial. Under Deputy Chief Robert Buxton and Dave Morin (by then Captain), Hudson applied to the NY/NJ Port Authority for two pieces of the wreckage. Morin was named president of the Hudson 9/11 Committee. Newly promoted Captain Hansen drew the plans on a napkin. One of the beams used to construct the Trade Center was approved for Hudson on May 1, 2011, and plans were under way. 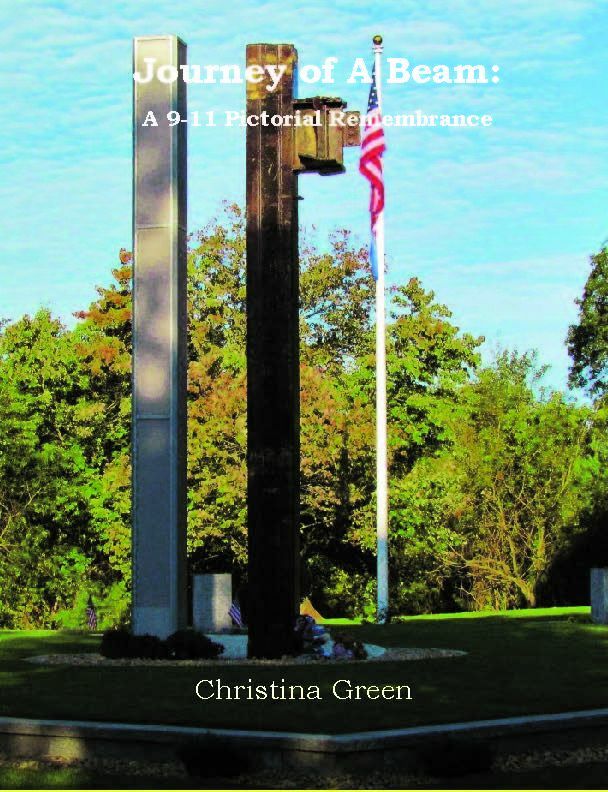 With the assistance of many volunteers, by both individuals and companies, the beam made its way to Hudson, New Hampshire, where volunteers constructed the memorial to those who lost their lives in this terrorist attack. Those include the many civilians as well as police, firefighters, emergency services personnel, and other volunteers, all of whom ran toward the towers to help without regard for their own safety. This book follows that beam in its journey.